About Us | Petpav | Your Online Magazine For All Things Pet! Petpav is Your Online magazine for All Things pet! Let me start by introducing myself. 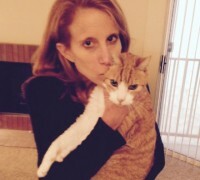 My name is Lisa Fimberg and I love pets! I’ve had dogs and cats my entire life and can’t imagine a home without them. Petpav (short for Pet-Pavillion) was first created as a pet social network with articles on pet advice, pet care and pet news. We have revamped Petpav into an online magazine for all pet related topics. We wanted to create a place where you can get good, reliable information on anything pet-centric as well as entertainment, contests and more! We hope you enjoy our articles and help Petpav to become the go-to-site for anything pet related! In fact, if we haven’t written an article on any pet-related topic that interests you, please email us at [email protected] and we will do our best to accommodate you. Thank you so much for joining us on our venture to make Petpav the best on-line news magazine! Take a look at all our articles on Petpav!